I have been wanting to do this feature on my blog for a long time now -- a virtual tour of the vintage stores in South Eastern Michigan. 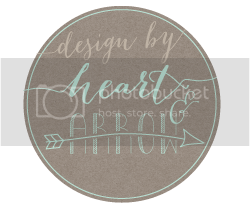 I have a created a button in the sidebar, which will link to all my posts on the different stores. I plan to feature vintage shops, clothing stores, antique malls, you name it; all surrounding metro Detroit, no further than hour to an hour and a half a away. 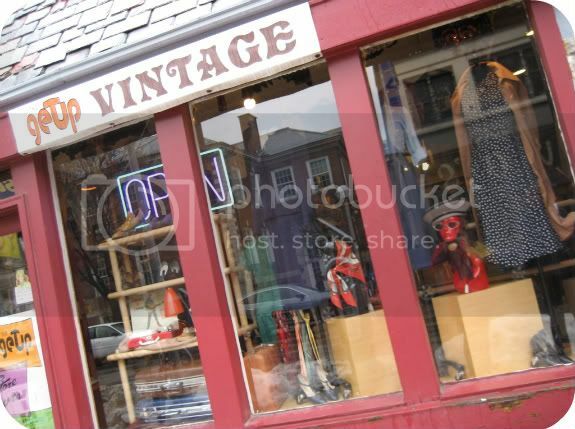 The first shop I thought I would feature is The Getup Vintage which is located in Ann Arbor, MI. Jesse and I went to an estate sale a town over from Ann Arbor this past Saturday and decided to spend the rest of our afternoon in Ann Arbor. For those of you who may not be familiar with Ann Arbor, it is a college town (home to University of Michigan) and has tons of cool little shops. This town is a prefect stop for the vintage lover, as it offers a few vintage clothing shops and a few record shops. I was extremely impressed with The Getup. Their prices were very fair and I found some major deals. Dresses were priced between $20-$50 on average and I was quite surprised to find many plus sized vintage pieces. The store is on the smaller size, but it packed full of vintage goodness. The items pictured in this post show my "major deals." 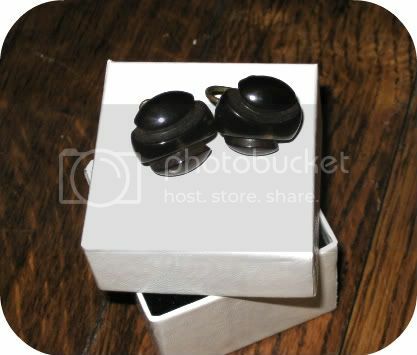 Above is a pair of black carved bakelite screwback earrings, $25. I was really impressed with their prices on bakelite, especially for a brick and mortar store. I could be wrong, but I feel like black bakelite is a bit harder to come by than some of the other colors. Anyways, I was super pleased to add some more bakelite to my collection for a good price. (They are solid black in real life. I lighten the picture to see the carving detail). One of the reasons I went ahead and got the earrings is because I found this adorable 40s smock. 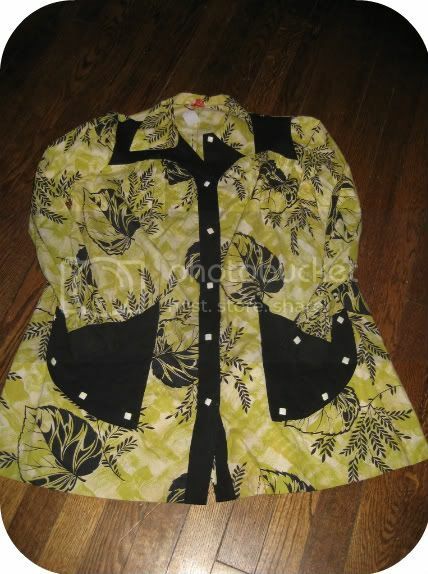 I could not resist the print or the way it was styled, plus it was only $12!! How can you beat that?? It also is in excellent condition. I cannot wait to wear it. I am thinking I will wear it with either some black cigarette pants or some skinny jeans. After I found the above smock, this popped out at me. 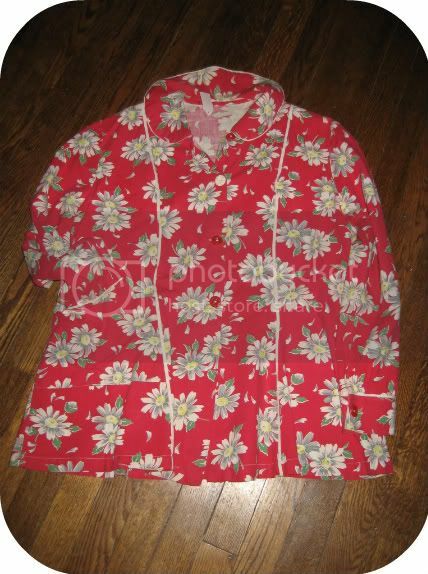 I think it is suppose to be a smock too, however, it is homemade and is more fitted than the one above. Either way I love it and it looked cute with jeans. I also could see it with white pants too. Any other thoughts? I am going to move the top red button down to replace the white one that someone placed there to replace one of the missing red ones. I never button stuff up all the way. This cute little shirt/smock was only $10!!! I also got a 50s acetate deep purple dress, new old stock for only $20 and a 50s circle skirt in teal and navy for $25, which are not pictured. My beau and I plan to head back to Ann Arbor when the weather gets warmer, since it is such a nice downtown to walk around. I can't wait to stop into The Getup again! Oh, I'd love to go there! I am completely in LOVE with both of your smocks! I mean it - I wish they were MINE! Both are gorgeous - and yes, what a great deal! That does indeed sound like a wonderful shop, and I will be looking forward to seeing more of the shops you will feature! great finds and even better, so glad you got good deals!! Great idea, I'm planning to do the same thing for the Chicago area. I might be taking a trip out to Ann Arbor this summer and if I do I'll let you know! 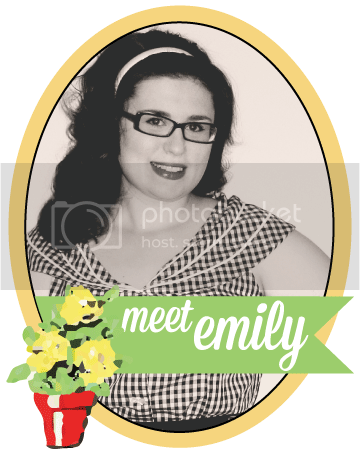 Do you mind if I use one of your photos in my 'link roundup'? I'm starting a new feature on my blog where I'll be sharing links to other bloggers that I found inspiring that week. Sounds like a shoppe I would love to visit!! I've never been to Ann Arbor, but college towns are so fun! 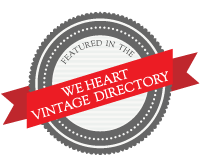 Looks like a great vintage shop! I've been to the Getup ALOT, and they never cease to amaze me. I was buying a dress to attend a wedding one time, and the owner steamed it for me before I left, so it would be ready to wear. Talk about AMAZING customer service. I've never left without something I have to take home with me. 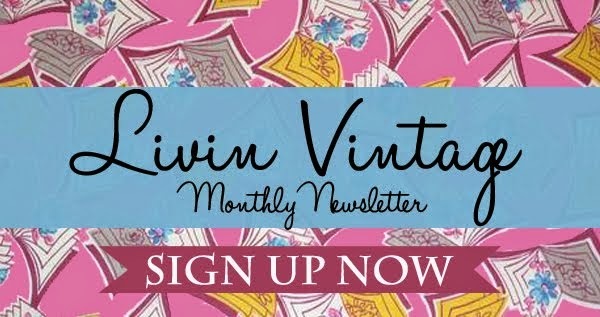 I am new to vintage so this gives me an idea of where to plan a shopping trip! Thanks for posting!